If you have a sweet tooth, if your kids are hovering around or if you generally lack self control around food, you should stop reading now. I meant it. 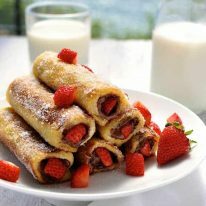 Don’t look at the photo of these Strawberry Nutella French Toast Roll Ups! 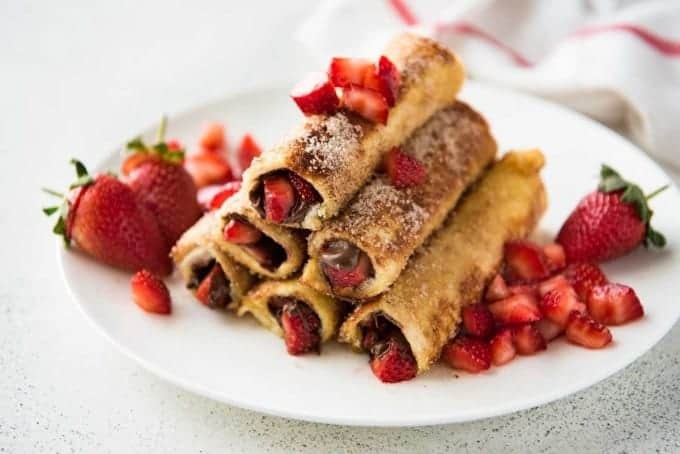 The problem with these Strawberry Nutella French Toast Roll Ups is that they are way too easy to make. Because frankly, let’s not kid ourselves, these are not a normal breakfast by any stretch of the imagination. I made these in the morning to take photos and as I munched on them afterwards, all I could think was “damn, these are the best doughnuts ever”. The thought of them being breakfast never even occurred to me. But, but, but…..it’s french toast! French toast is for breakfast! Okaaaaay then….okay. So is this how you justify having dessert for breakfast? This isn’t an original recipe I came up with. 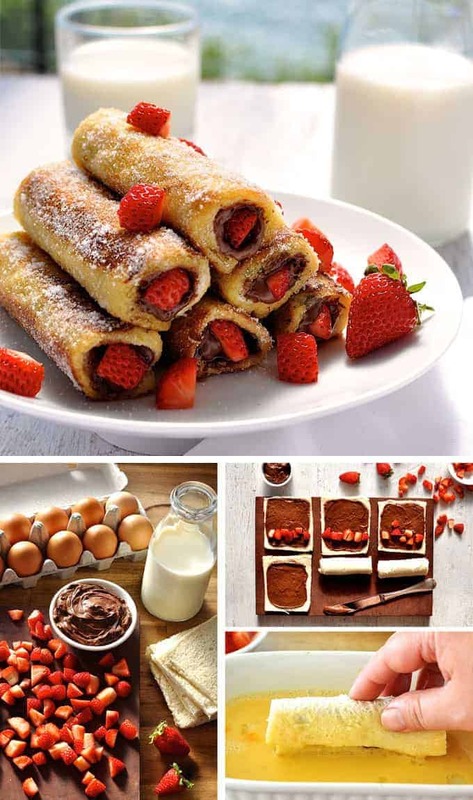 I’ve seen strawberry stuffed french toast roll ups “around”, but I have noticed that they all seem to use cream cheese rather than Nutella. I tried it with cream cheese, but I much prefer making these with Nutella because….well, Nutella vs cream cheese? Nutella wins, hands down, every single time. It constantly amazes me that with a handful of ingredients you can whip up a breakfast like this in 15 minutes. Honestly, no matter how sketchy I’m feeling after a few too many wines the night before, I can still muster up the strength to make these. And after a few bites, I perk up considerably! I know it’s tempting to head out for brunch on the weekend, but why not stay in and try these? Coffee refills are free, and brunch at home means you don’t have to get out of your PJ’s or straighten your hair (ahh, the joys of being a girl!). These french toast roll ups taste like an awesome doughnut! Combine Egg Mixture in a bowl with a flat base large enough to lie the roll up in. Whisk to combine. Spread each piece of bread with around 3/4 tbsp of Nutella. 1. You won't use all the sugar. But I find that you need around 1/4 cup to ensure each roll up is evenly coated. You might be able to get away with less. If you sprinkle it on instead of rolling it, it won't stick as well. Icing sugar (confectionary sugar) doesn't work, it just disappears instantly when it touches the roll up. 2. These are best eaten fresh. They tend to go soggy and because of the sugar, the bread "sweats" if left out. 3. 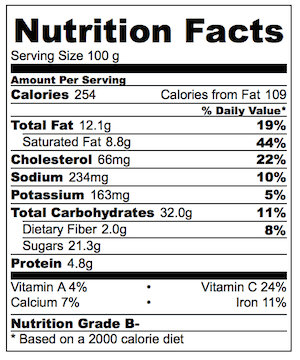 Nutrition assumes 3 servings. But who am I kidding? It serves 2, at most (which is 381 calories per serving). Note that I adjust the amount of sugar that is actually consumed which I estimate to be 2 tbsp at most. 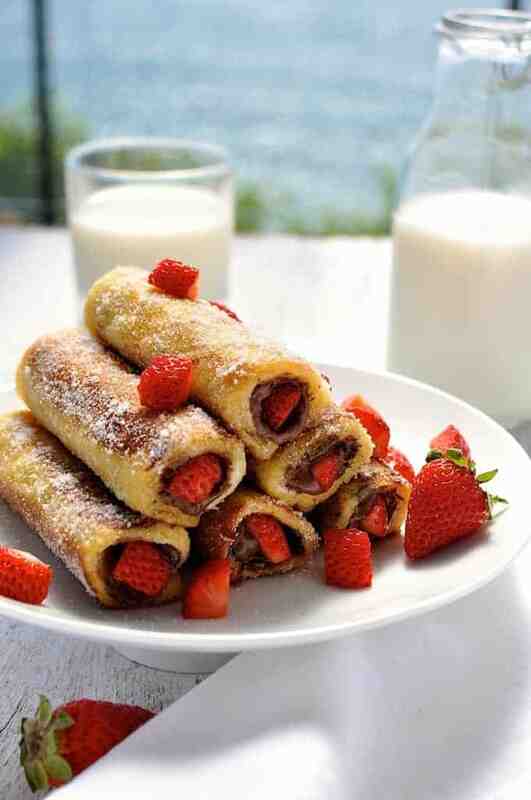 Save these Strawberry Nutella French Toast Roll Ups to you “Breakfast” Pinterest Board! Thank you Nagi for sharing your recipe, I made some with strawberries and some with bananas and added cinnamon to the sugar, it was delicious. Buen día. ¿Cuantos gramos son 1/4 de taza? 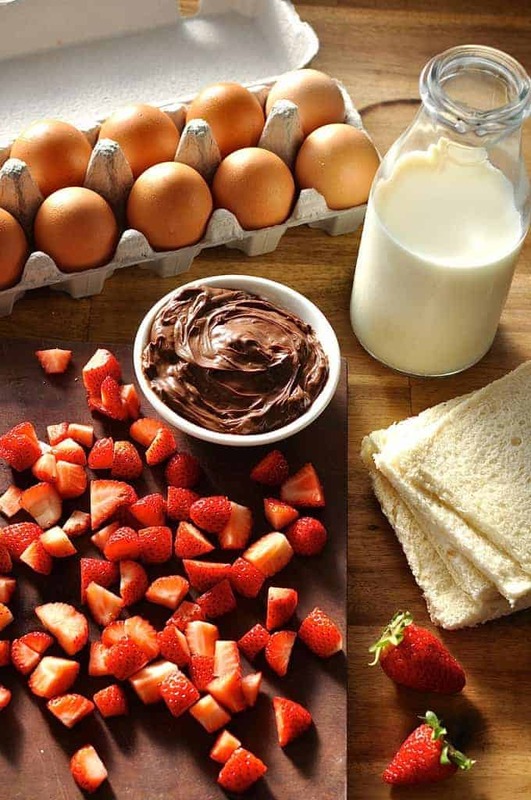 Tried this with strawberry-coconut butter instead of Nutella and used full-fat coconut yogurt in the egg mixture instead of milk and added vanilla essence. Plus coconut sugar for caramelisation. Was delish. This was a quick and easy snack for my kids! They love Nutella and strawberries so I had to make this! Also no complaining because it was so quick to make! I am so happy about a new recipe and I will be looking at some for my husband and I. Woo hoo! So glad your kids enjoyed it!